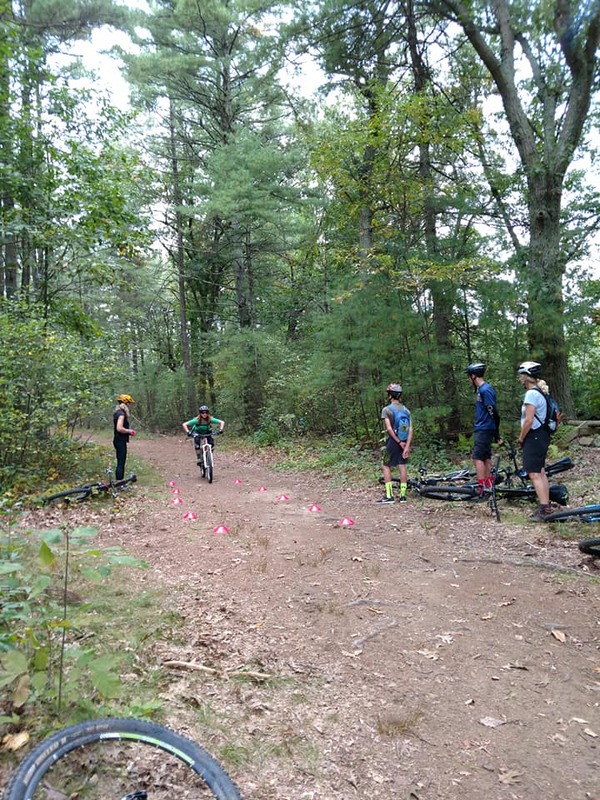 Knobby Tire 2018 just wrapped up this past weekend at Great Brook Farm State Park, and it was a blast! Special thank you to this year’s Epic Headline Sponsor REQ! This is the first year we have had a Headline Sponsor and REQ is an amazing fit- a local equipment company, Kim and the REQ family focus on going above and beyond for their customers, and they see beyond the everyday chair, supplying equipment for outdoor recreation and sports, as well. This year REQ even brought the TrackZ power assist trail-ready chair to the event! Thanks REQ! This year, we also had a Stellar Sponsor, Revolutionary Clinics, and 3 Droppin’ In Sponsors TerrainHopper USA, Mobile Insulation Co, and North Shore NEMBA. Thanks to all of our sponsors for seeing the value in what we bring to the community and being willing to support our cause! 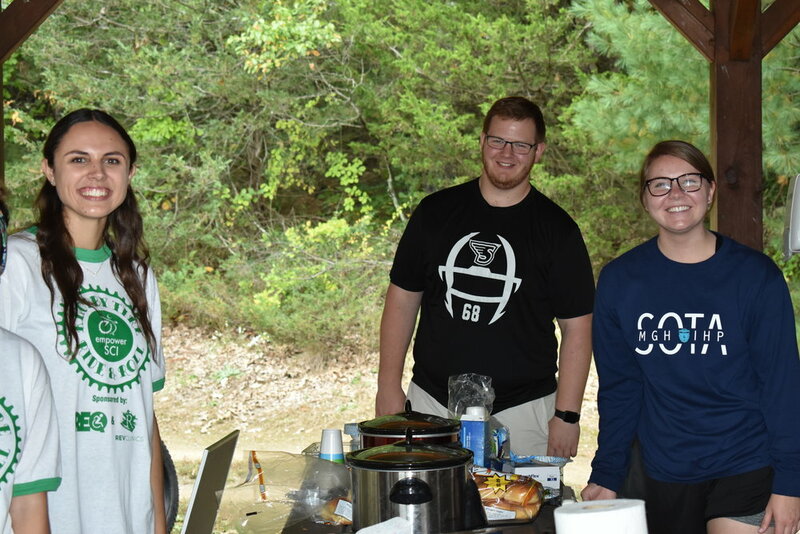 We also need to thank our long list of volunteers, including our returning volunteers, Laila Soleimani, Jess Doonan, Jonathan Martel, Alexis Wruble, Cathy Tracy, Lisa and Sean Casey. You guys are the rock that Knobby Tire is built upon- thanks for coming back year after year and supporting our cause. Special thank you to Lee Hollenbeck for bringing the cheer, taking the pics, and supplying us this year with delicious ribs and rice and beans! And to Katie Lee- thanks for the cookies- they were delicious, but we still missed you! Thanks to Diane and Ronald DeRoche for taking on the raffle and auction table this year and doing an amazing job. And to our new volunteers, Newton Hausermann and Peter Hausermann (who set the intermediate loop course this year- thank you! 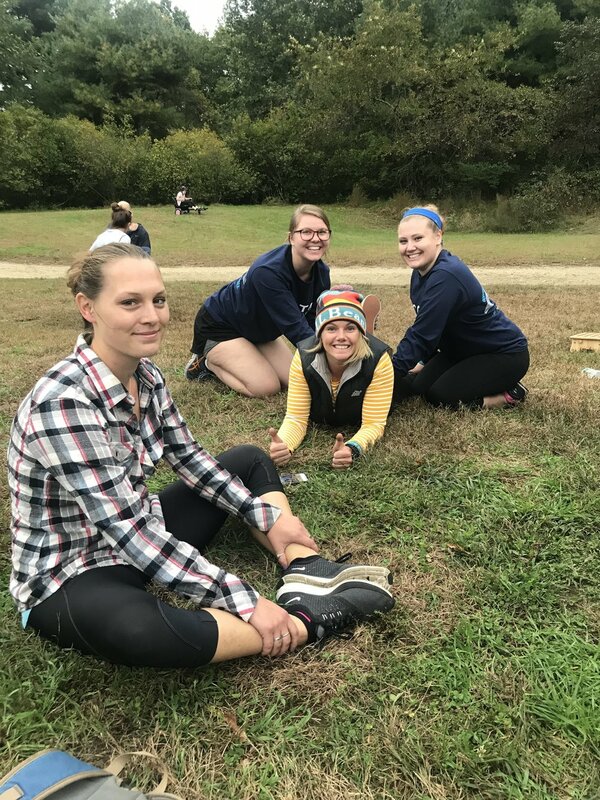 ), Beth Weaver, Becca Cave, Maria Evgeniadis, Joe Uzzo, Maggie Flynn, Will Greelish, Anna Hausermann, Leah Tinkham, Mikaela Corbett, Britt Light, Nicole Bartlebaugh, Alisa Bjorkman, Margaret Rowold, Victoria Lehr, Felice Mendez, and Brenna Bean - thank you so much for giving your time to make the day a success, and hope to see you back next year! 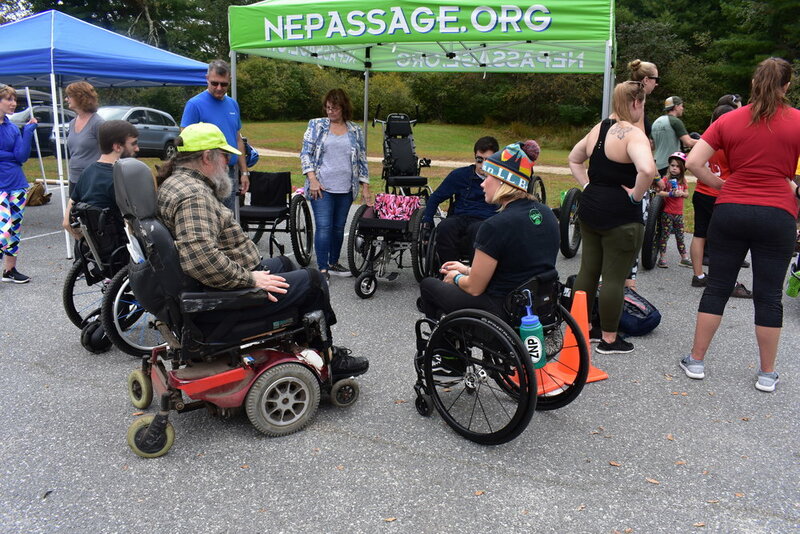 To our vendors- we wouldn’t have been able to pull it off without each of you there with the specialized trail equipment to get people on the trails and educate people on the adaptive equipment out there to make it possible! Crystal and Northeast Passage, thanks so much for being our staple this year and bringing such great trail equipment (and your kids!) to the event! 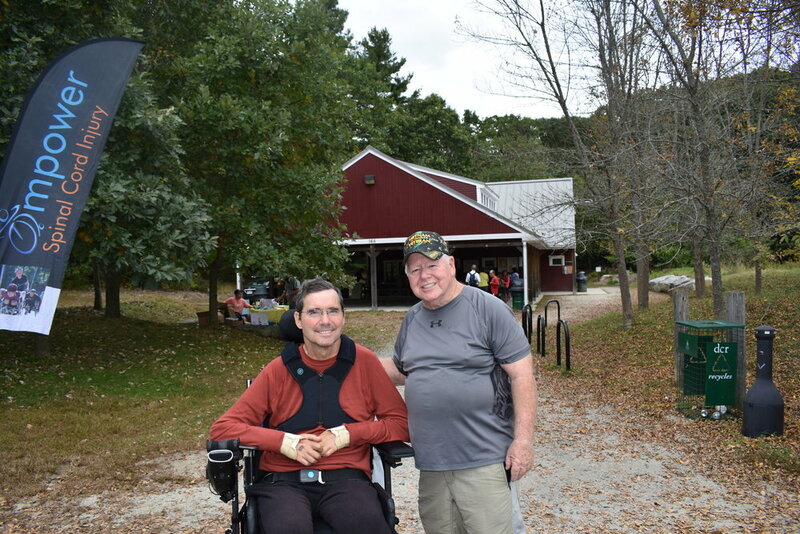 Tyler and GRIT, thanks for squeezing Knobby into your busy schedule and letting people give the Freedom Chair a try on the trails- it was great to have you back! Maverick Square Adaptive Cyclery- you guys were such a great addition to the Knobby Event- we love your focus on adaptive equipment and your knowledge about adjustments and maintenance! Olivia from Spaulding Adaptive- so happy to have you as a part of Knobby Tire this year! Your passion for mountain-biking and adaptive mountain-biking is contagious and we were so lucky to have you a part of the day. Erik Kondo- thanks for bringing in your innovative creations to keep us on the cutting edge of new adaptive equipment. A special thank you to Steve Carlin from DCR and Laila Soleimani from DCR Universal Access- we love the space at Great Brook and love the energy that you bring to the day! And to Thom Parsons for taking the video throughout the day- thanks for taking part and can’t wait to see the results! Thanks to Jim Powers for taking most of the pics on this reel! And to our long list of raffle contributors- make sure to go out and support these fantastic organizations and let them know that you appreciate their support of Knobby Tire and adaptive riding! Back Bay Bicycles, Landry’s, Flatbread Somerville, Crimson Bikes, Otto Pizza, Winter Hill Brewing Company, Nate Bibaud and Flat Earth Designs, Donna Laswell, and JRA Cycles. And to the individuals who donated to the raffle/auction, Tom Schneider, Ryan DeRoche, Susanna Callender, Tom and Kelly Spellman, Ronald and Diane DeRoche. You guys rock, and helped us to raise over $800 which will go towards supporting Empower Spinal Cord Injury’s Adaptive Sports program! Clinics! 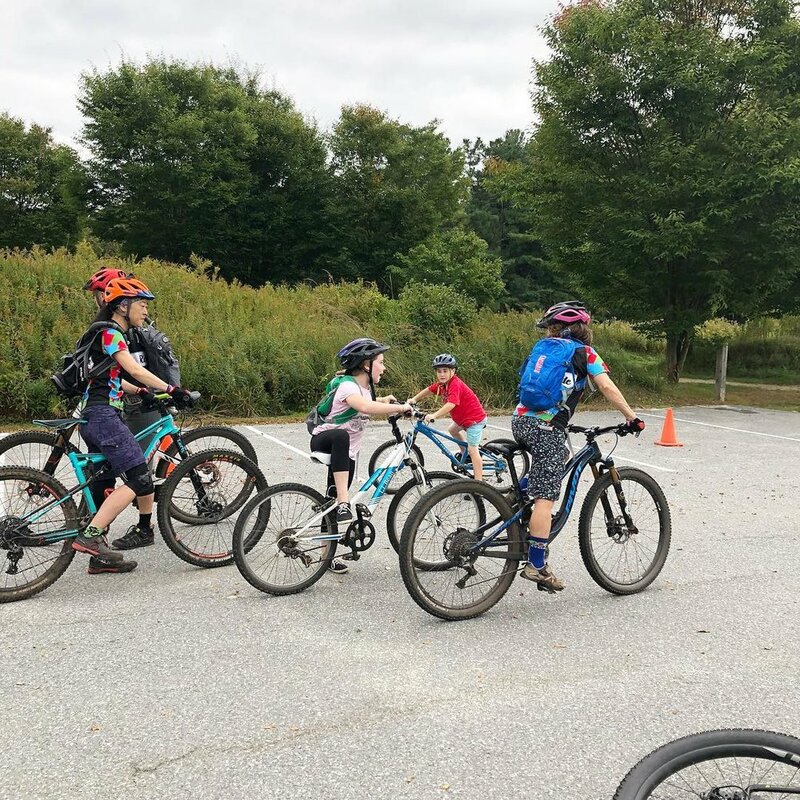 We have to extend a very heart-felt thank you to Karen Eagan who started up our clinic option last year, and continued this year with a Beginner’s Basics Mountain Bike Clinic, free to all who attended the ride. Thanks for your passion, your energy behind helping Knobby Tire, and your amazing skills that you pass along to other riders- that’s what it is all about- spreading the love. 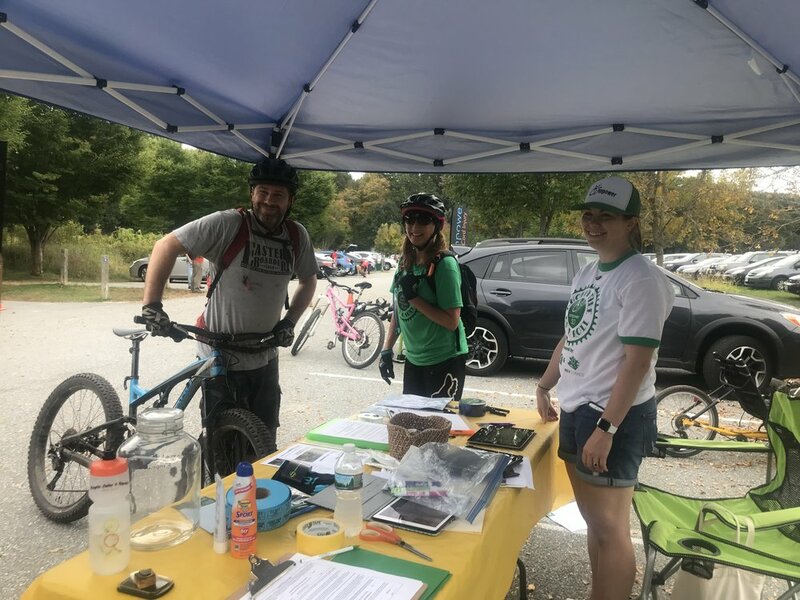 And thanks to Andrea Jones and her Greater Boston NEMBA Kids crew for putting on a Kid’s Ride this year with 4 children in attendance- another great addition and we hope to have you back next year! One of the greatest parts of the day was the joy of having Zoe Norcross, one of our original Knobby Tire organizers, who is home from Ghana where she is a part of the Peace Corps, at the event last weekend! She was part of the vision of Knobby Tire and we were so happy to have her a part of the team again at our 2018 Knobby Tire! 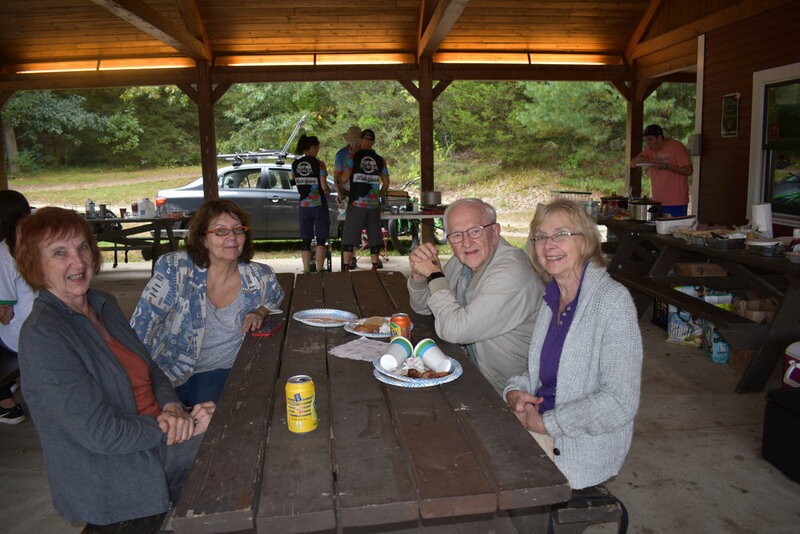 We missed some of our long-time volunteers, but had you in our thoughts throughout the day- Amy Fleischer, Katie Lee, Jerry Garcia, Ed Amo, and the guys from Bike-On, Chris, Dan, Bizzle and Kyle - hope to see you all soon! And to Zach and the Roderick family- missed you, but hope you all are doing well and on the mend in beautiful Florida! To the event coordinators, for putting in countless hours of preparation, food prep, phone calls, and meetings to make this event a reality. Ryan, it has been such an adventure helping to find your way back on the trails, and I love having the opportunity to work with you on bringing that adventure to others. Kelly, I’ve had the chance to see your transition into the mountain biking world, watched your love for the sport grow, enjoyed being your riding buddy and spending countless hours with you on the trails, and love working together to bring more people into this mountain biking world that we’ve found ourselves in. And Lauren, you have been such an integral and valuable new addition to the organizing team! I’m so happy that you stepped up to the challenge and responsibilities of becoming a lead organizer at Knobby- hope we didn’t scare you away:). And as we close the chapter on our 4th Knobby Tire Ride and Roll, we are so proud of the Knobby Tire Family that has grown over the years. 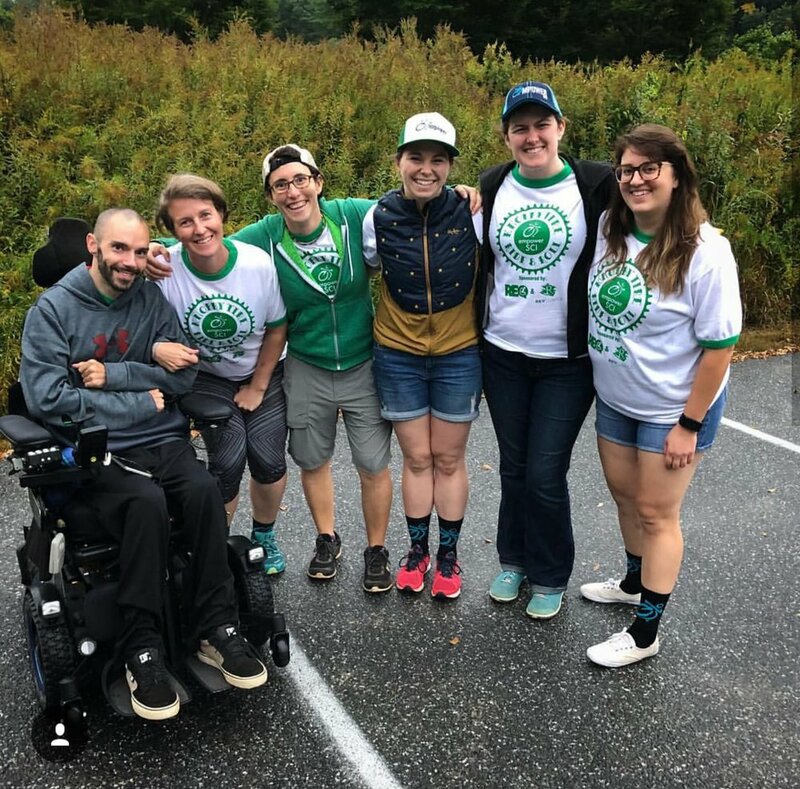 This year’s Knobby Tire Ride brought in over $5000, which will go towards Empower Spinal Cord Injury’s adaptive sports program as we launch the 2nd site of our residential summer program. 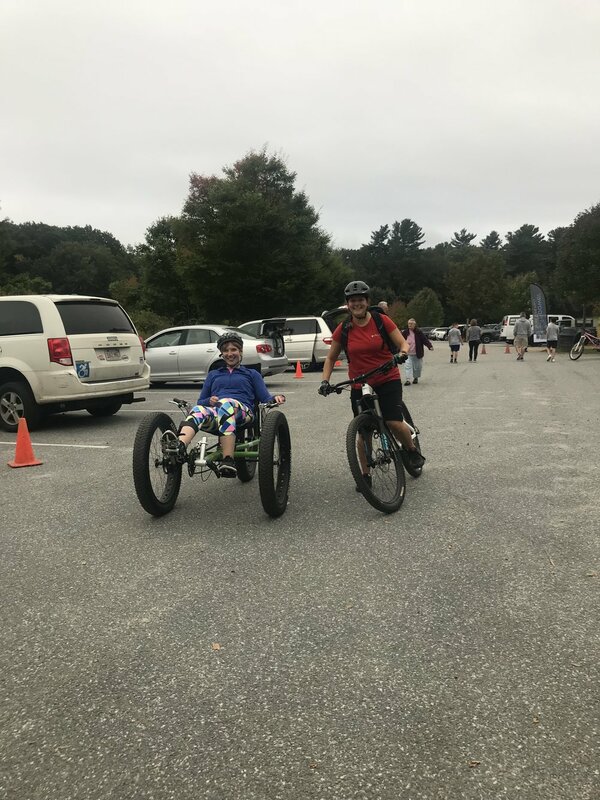 If you enjoyed yourself at the ride, make sure to tell your friends, neighbors, and acquaintances about it, so we can get more people on the trails, and more people inspired about adaptive mountain biking! Thank you all for giving a little bit of yourself to help others find their passion. Older PostAdaptive Equipment High and Low!